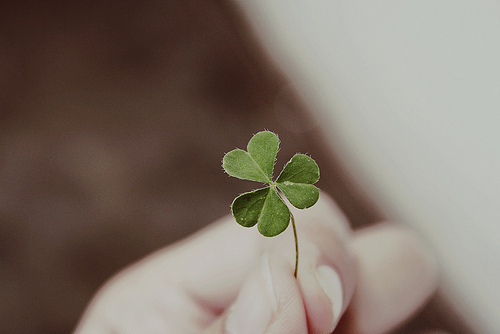 Luck O' the 1/8th Irish - . "Look, Mom! I found a four leaf clover?" "Yeah. Well, it only has three leaves but I'm pretty sure the leprechaun took the fourth one... It's still lucky, right?" Hey, in Utah, if you're lucky enough to find green clover growing this early in the spring, you're lucky indeed. So, yeah, we'd agree with your assessment of Bob's luck. I've never found a four-leaf clover in my life and now I know why. Oh my gosh: making lemonade out of lemons. You have taught him hopefulness: what a gift. i found one of those too, bob! Is there a St. Pat's day version of Scrooge? Because I'm turning into one, after hearing about all the class time devoted to leprechauns and green pancakes this week.